HOME RECORDING DOPE: HOME RECORDING DOPE – What Is It? HOME RECORDING DOPE – What Is It? Home Recording Dope is an informational forum hosted by Tom Payne, a producer and recording engineer specializing in Hard Alternative Music. This site discusses the making of professional quality recordings in small project studios. 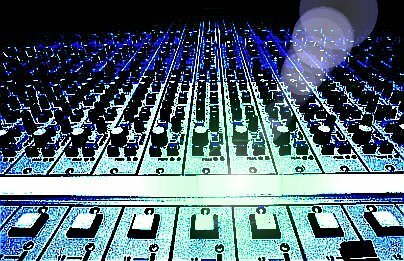 Equipment related forums about subjects like the newest boutique microphone preamps or the best analog synthesizer modeling software – cool if you want to buy something, but not very useful in general (most of us don't have the money to buy a new recording toy every month). Pedantic sites that insult your intelligence by explaining the obvious (...and this is a microphone! You SING into it!) or that present you with a barrage of technical information that puts you to sleep before you can get anything useful out of it. Home Recording Dope focuses on how to make great sounding recordings with a modest amount of equipment... not necessarily the newest equipment – not necessarily the most expensive equipment – not necessarily the BEST equipment…but THE EQUIPMENT THAT YOU HAVE. We'll address topics that I wish someone had told me about when I started recording. I wanted to give you some actual RECIPES that detail how to make great sounds – not just a big long list of ingredients. This site is not about specific software or hardware. Part of your job when you are recording is to learn how to work with the software and hardware that you have at your disposal, to use it in the best and most creative ways so that your songs grab and hold people’s attention. I have a lot of ideas and information to offer, but it depends on you, the reader, where we go from here! Please remember that this forum is not about specific equipment questions. Just tell me what you’re doing or what you’re trying to achieve in terms of sound, send me an MP3 of your project and we’ll go from there. Your new 'Not!' section is great! You are a genius! You have single-handedly saved my career with your brilliant insight into Hard-Alternative recording!